Who can replace the Tshogpon? Following the surprise resignation put-up by National Assembly (NA) Speaker Jigme Tshultim, clearly announcing withdrawal from his current post as well as from his party, the Druk Phuensum Tshogpa (DPT) was left with a big void to fill in the Radhi-Sakten constituency. It’s a big shoe to fill and the question has been afloat for a long while in the DPT sky, and in the general public’s minds as to who might fit the bill. There is finally a name, and it just happens to be a name that the Speaker himself had mentioned in one of the meetings in his constituency. 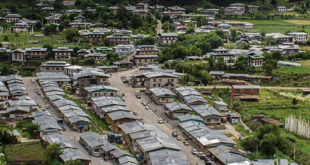 During the Tshogpon’s recent visit to the constituency, some people had asked him not to step down, said the Radhi Gup, Jigme Namgyel. “The Tshogpon told the people about his thoughts to nominate Kinley Dorji as his substitute,” he said. 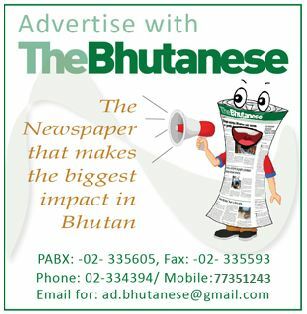 The Executive Director of the Bhutan Narcotics Control Agency, Kinley Dorji popularly known as Apa Kinley, famous for his vote of thanks speech at various functions might be the Radhi-Sakten candidate to replace the NA Speaker. However, when approached with the question, Apa Kinley clearly denied it. Apa Kinley said at this juncture he was waiting for the Royal Civil Service Commission (RCSC)’s directives on his next transfer, however, with the age factor; he was keeping his options open. “I think that at this age it will be good to render my services to the nation with honesty and integrity and if people, the Speaker and the DPT think that I am capable then I must respond appropriately, but, I cannot have high hopes,” said Apa Kinley. 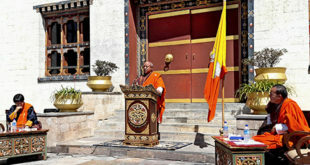 The Speaker has also told The Bhutanese that he will have an announcement to make during the upcoming party meeting. As of now, he said he has no comments on whatever is to happen. But he did hint that whoever is to replace him would be decided by February next year. Meanwhile in other developments on the DPT front, there are speculations that Sangay Thinley, who contested in the 2008 elections with the DPT ticket from Goenkhatoe-Laya, is going to make a comeback. A villager in the constituency said that he had visited the village with his father couple of days. Speaking to this paper, Sangay Thinley, said he has not really decided on being a candidate but is politically interested. “I am and will still be politicking for the party and whoever is the candidate (that is if I decide not to come back),” he said. Sangay Thinley lost the 2008 elections to the present Opposition MP Damcho Dorji. Tshogpon may be resigning because of the Gelposhing lam scam. As to the question of who is going to fill his shoe should not be a big cause of concern. Bhutan had many educated lot today. When our illiterate and semi-illiterate forefathers could manage the country for centuries, why can’t now? My view is that the Speaker should be apolitical and the best person is the former tsogpon Dasho Ugyen Dorji of Lhakigroup.